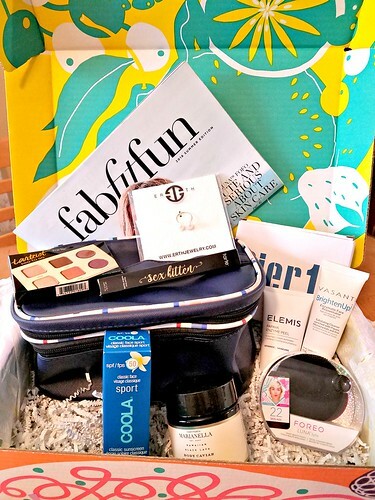 Welcome To The FabFitFun 2018 Summer Box Giveaway! Girls out there this is your chance to take home all of the products in the box just don't forget to join! Website: NEW Subscribers Use Code EPIC to save $10 off your first box! Depending on the variations you receive, this box has a value of $321.99 to $367.99. I am always so impressed with the high-end beauty brands FabFitFun is including lately, but this Summer Box was my favorite! 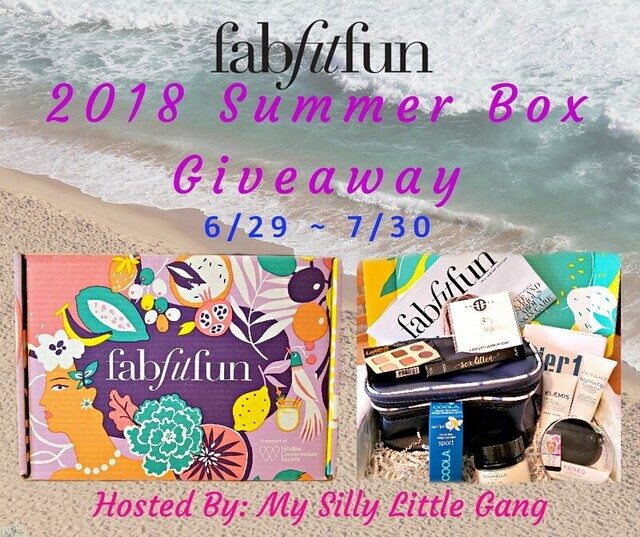 2 Lucky Winners will receive a FabFitFun 2018 Summer Box! Each box is filled with over $300 worth of stuff! Entrants must be 18 years old to enter and giveaway is open to US residents only. This giveaway is in no way endorsed, affiliated or associated with Facebook, Twitter or any other Social Media Networking Site. This giveaway is valid only in the United States. Entrants must be 18+ years of age to enter. This giveaway will end at 11:59 PM (EST) on 07/30/2018. Winners are subject to eligibility verification and will have 48 hours to respond before new winners will be drawn. If you or someone in your household has won this prize in the past 180 days you are not eligible to win. For any questions or concerns please email silvie.mslg (at) gmail (dot) com (please consider adding this email to your “Safe List” as the winning email notification will be sent from this email.) If you take an entry you must stay following for the entire contest or you will be disqualified. Also we all “love it if you like us” on Facebook! If you like our blogs on social media it helps us bring you only the best giveaways and more of them! My Silly Little Gang did not receive any form of compensation for this giveaway. Winners are selected via the Giveaway Tools process. , The sponsor is responsible for shipping of the above prize. No blog associated with this contest are responsible for prize fulfillment. Winners have 48 hours to respond or another winner will be chosen. Thank You for stopping by! Any Questions or Concerns email me at mslgblog (at) gmail (dot) com. If you have any questions or are a brand/company and would like to work with My Silly Little Gang please contact us here. A proud mommy of Queen and Princess loves to share anything worth sharing. An influencer. Making money online. Leave your opinions here. I will be happy reading your thoughts. God bless us all! Any amount you donate can help me continue this blog. Thank you! The John Boos Co. Father's Day Giveaway! Winners Choice Of The Rustic Edge Cutting Board Collection! A Natural Shield for Your Skin!